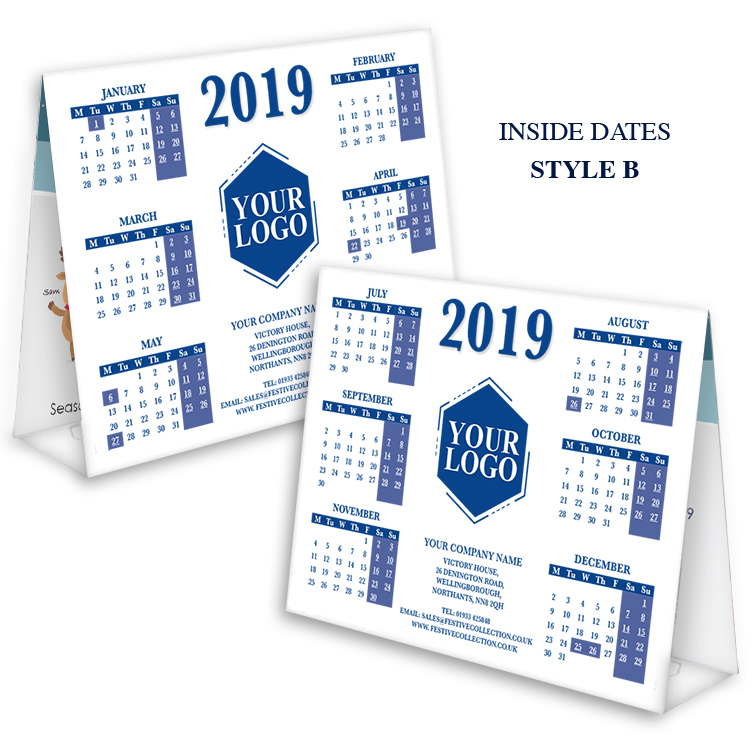 A5 (210 x 148mm) in size when folded, this calendar folds inside out to become a 2019 desk calendar. 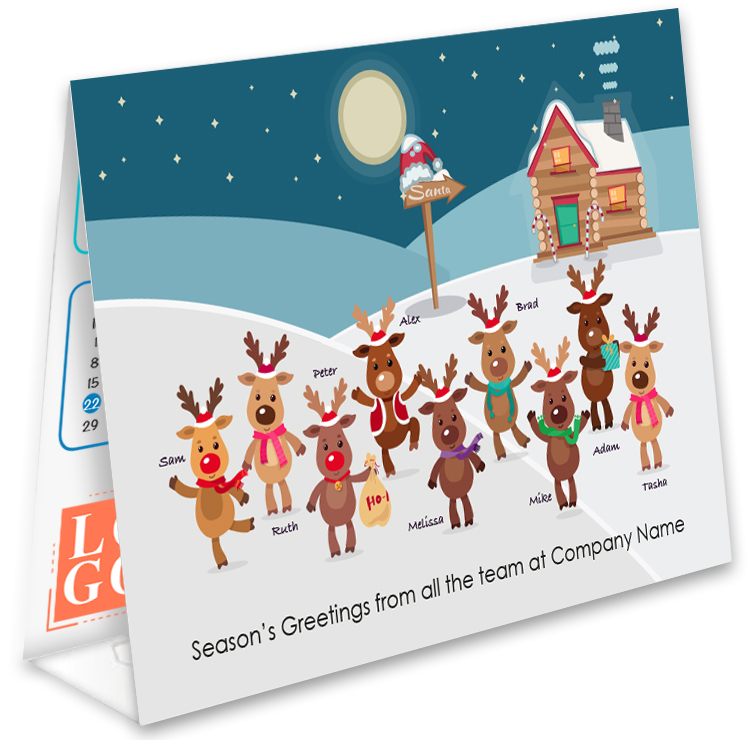 Keep your company name on customers desks all year round! 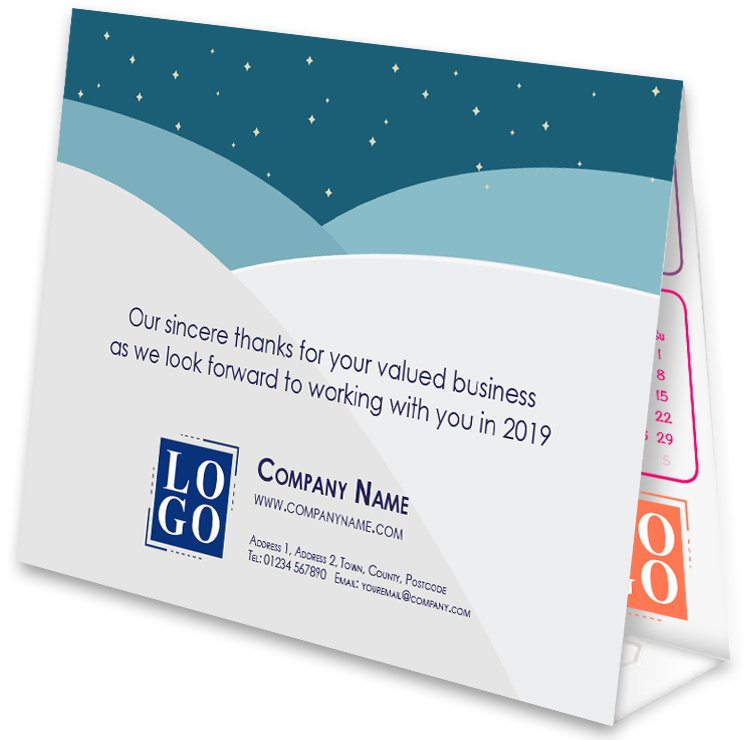 Welcomed by all and an effective promotional tool this Christmas season. 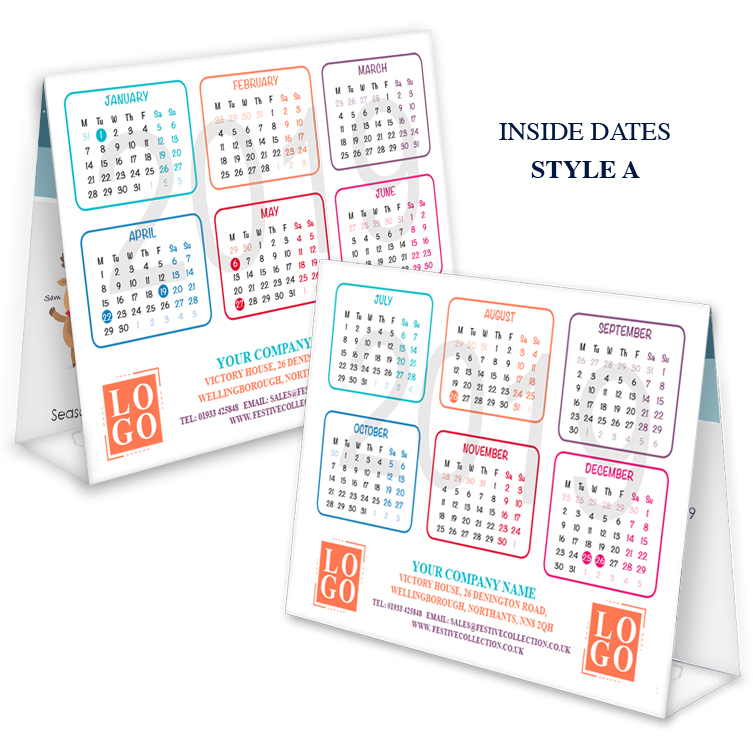 Personalise your card calendars to represent you by adding your company name, logo and any personal greeting you wish. This product fits into Royal Mail's lowest price band when folded and is supplied with white peel & seal envelopes.